How do we live rich and meaningful lives? How do we find the passions that sustain us? Ruth started dancing as soon as she could walk and, 80 years later, she is still performing and sharing her creative innovations. Everything Moves, a documentary film by Deborah Fort, explores the lifelong artistic passion and boundless curiosity of Ruth Zaporah, founder, performer and teacher of Action Theater, and the challenges of the creative act. It Takes Time To See is an experimental documentary short that explores Yvonne Rainer’s pivotal post modern dance piece, Trio A. 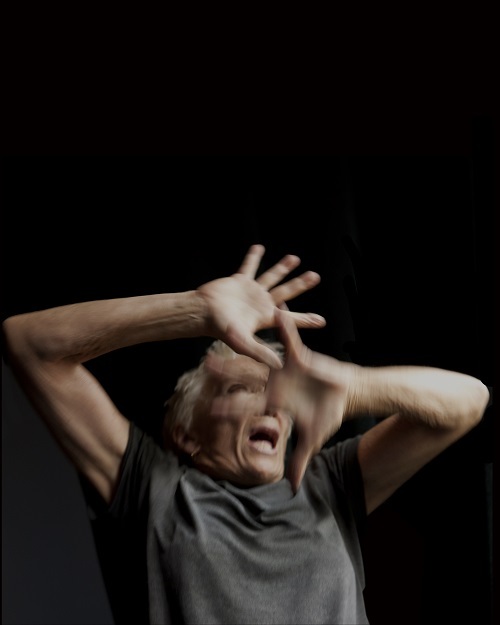 The video references Rainer’s own films in its imaging of this historic piece of choreography. Produced in collaboration with choreographer, March Tallerico. Deborah Fort is an independent filmmaker from Santa Fe, NM. In addition to producing this documentary film on Ruth Zaporah, she has developed interactive video systems that she has employed in solo performance as well as in improvisational performances with other artists. Deborah received her MFA from the San Francisco Art Institute (back in the day) and currently teaches digital media at The University of New Mexico.